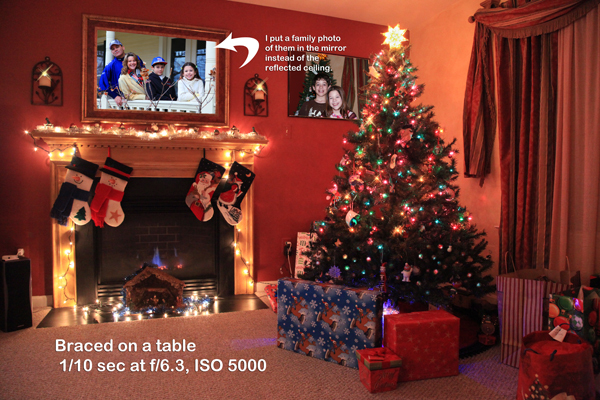 Have a fun filled Photo Christmas! 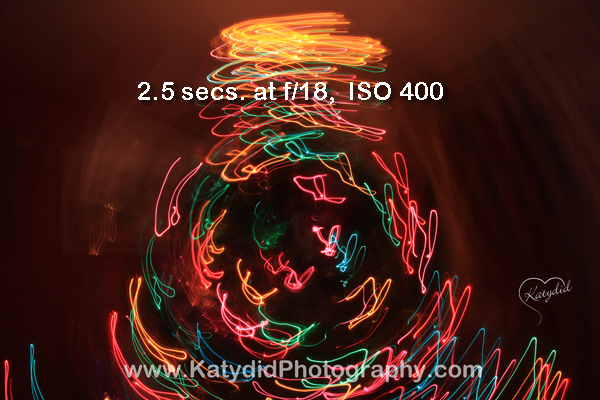 Have you wondered how to take great pics of your Christmas tree? There’s 2 ways to do it! 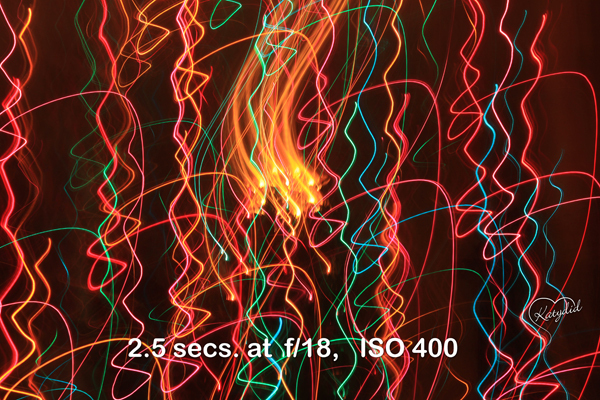 Photographing on a tripod with long exposures and a lower ISO is usually recommended for best results. 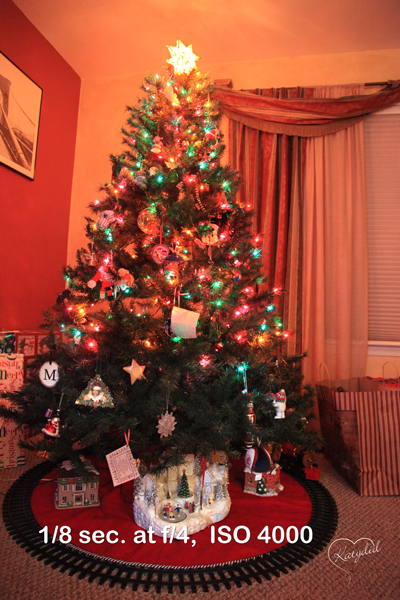 However if you find yourself without a tripod wanting to take pictures at a friends house, brace yourself and turn on your Vibration Reduction or use a coffee table to help stablize your image. 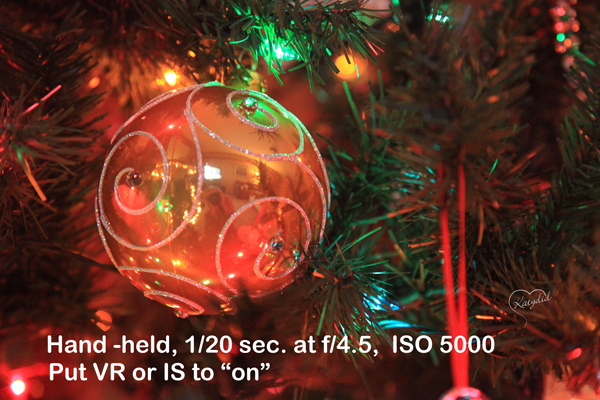 Your next option is to use the highest ISO available with your VR on. 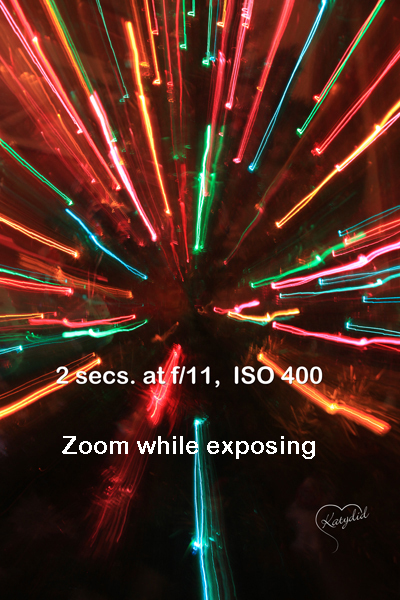 A fun project is to set your shutter speed to low settings such as 2-15 seconds, set your ISO at 100-400 and zoom the lens barrell during the exposure. 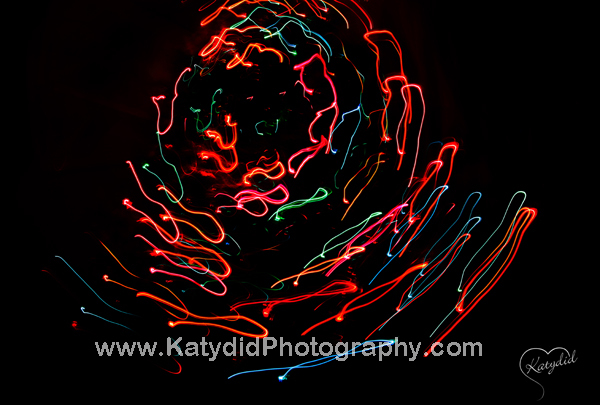 Also moving the camera in circles and up and down motion can create some very unique patterns. Give it a Whirl!!! If you’d like to try these techniques out on Christmas lights outside this time of year, we have a Holiday Light Workshop scheduled for Dec. 20th from 6:00-8:00 pm that you can sign up for and these techniques will be tried and explained for you. Another one after the holidays to Longwood Gardens is planned. Watch our calendar for the weather update time.